The Weider 5 Pound Ankle Weights Pair can help you stay in shape. Use them to target the lower body while you work out. Each one weighs 2.5 pounds, for a total of 5. 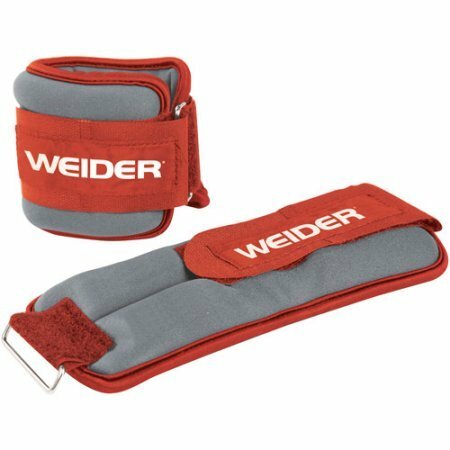 This pair of Weider ankle weights features soft neoprene fabric. This design will help you to stay comfortable while you reach for your fitness goals. Hook-and-loop closures make them adjustable as well as easy to put on and remove.